Michigan winters can be tough to get through, and we want to make sure your hot water is running smooth. That’s why were helping you save money on our Michigan-made Bradford White Water Heaters. 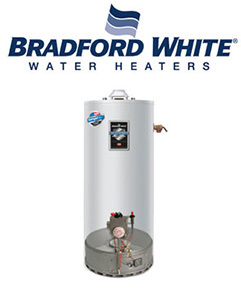 Bradford White Water Heaters are well known for their quality and energy efficiency. Headquartered in Michigan and built to last, we’ve installed Bradford White heaters for decades. They provide the best heating solution to all of our customers. You can save $40 dollars off the installation of 40-gallon tank, and $50 dollars off 50 gallon tanks. Call us today at 313.531.6817 for information on heater installations. Mention this offer over the phone, or enter promo HEATER40 or HEATER50 on our contact form.